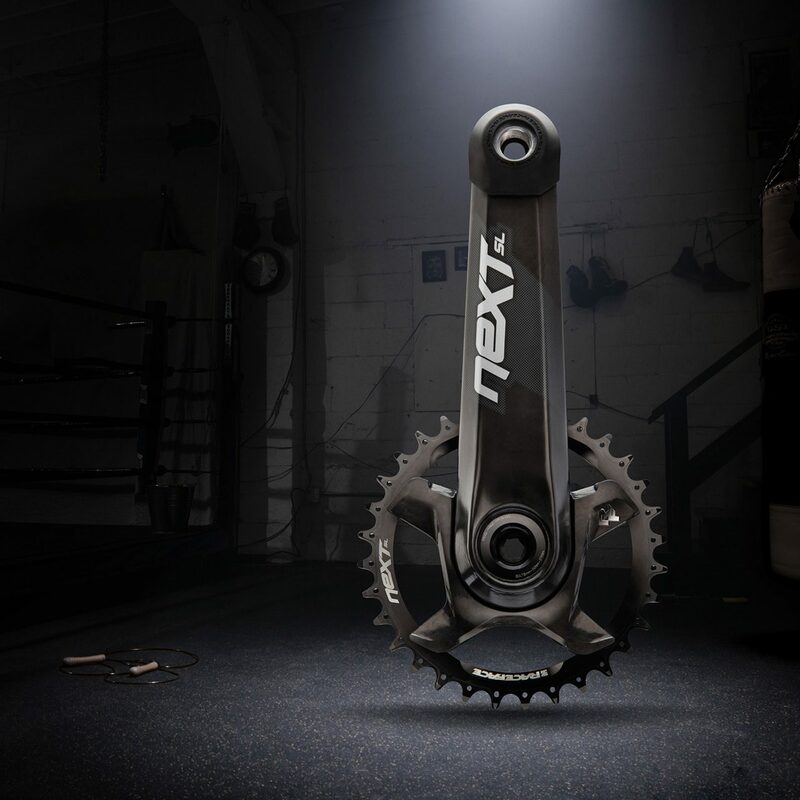 The world’s lightest production mountain bike crankset, the Next is the outcome of performance driven design and engineering. Race Face manufactures the crank arm in Burnaby using a proprietary method that opens the door for forms that are not possible by competitors. The design aimed to highlight this capability with sharp corner treatments on leading edges that communicate speed, lightness, and high performance. The molded carbon and aluminum chain ring is a first for the market. The depth and shape generates improved torsional stiffness for more power transmission and shifting performance while also achieving a more integrated appearance than other direct mount systems.